The Sovereignty Movement on Monday responded to the murder of a 29-year-old father of four by an Israeli Arab terrorist. "The Sovereignty Movement views the murderous terror attack of Itamar Ben Gal hy”d at the entrance to Ariel as additional proof of the necessity for sovereignty over Judea and Samaria, not only as the Zionist answer to terror but also as a step that will put an end to terror at its source," the movement said in a press release. 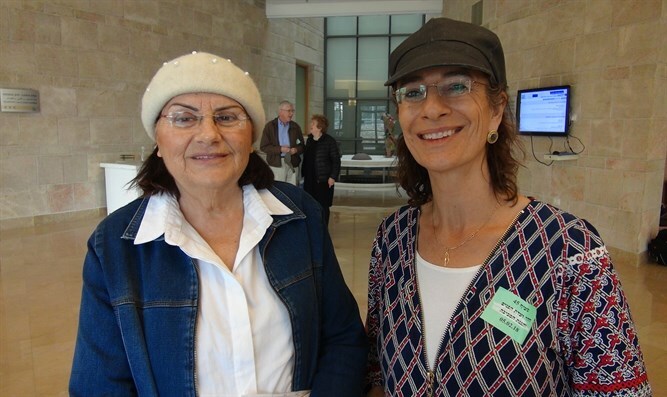 Sovereignty Movement heads Yehudit Katsover and Nadia Matar said, "The application of Israel’s sovereignty in Judea and Samaria will make it clear to the Arab terrorists and to those who send them that Israel will present an iron wall of resolve and tenacity against terror." "Moreover, sovereignty that is also implemented in the field will make it clear to terror entities that Israel is here to stay forever and that there is no basis for them to hope that their terror will cause Israel to retreat or that it will result in any other gain." "It has been proven in the past that Israeli withdrawals bolster the Arabs' hopes that they will be able to vanquish Israel through violence and terror. Israeli sovereignty will make it clear that the result will be the absolute opposite and terror will be annihilated from its roots. "We call on the ministers of the government to vote in favor of the sovereignty law that MKs Yoav Kish and Bezalel Smotrich have proposed."